This is a stunning dog label image of a Victorian paper scrap designed with a portrait of the terrier, Smooth Fox Terrier. 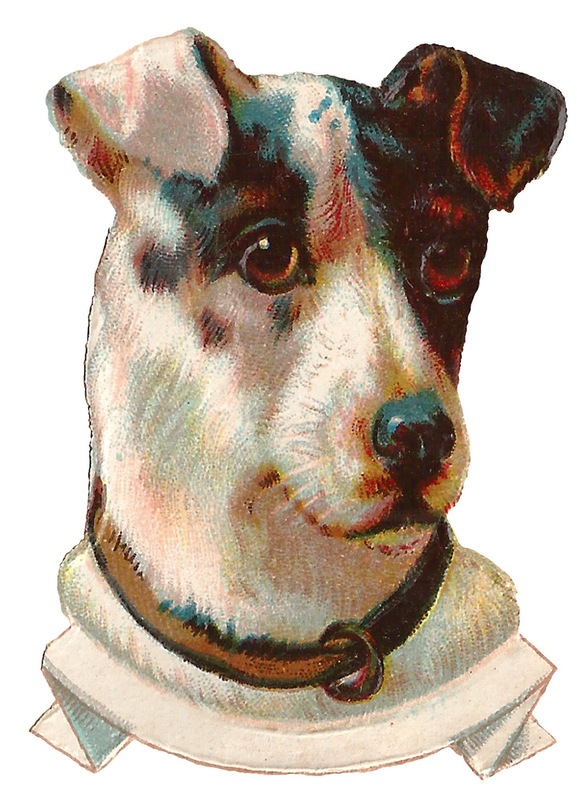 The bent, flopped ears and bright eyes are perfectly illustrated in this dog clip art. 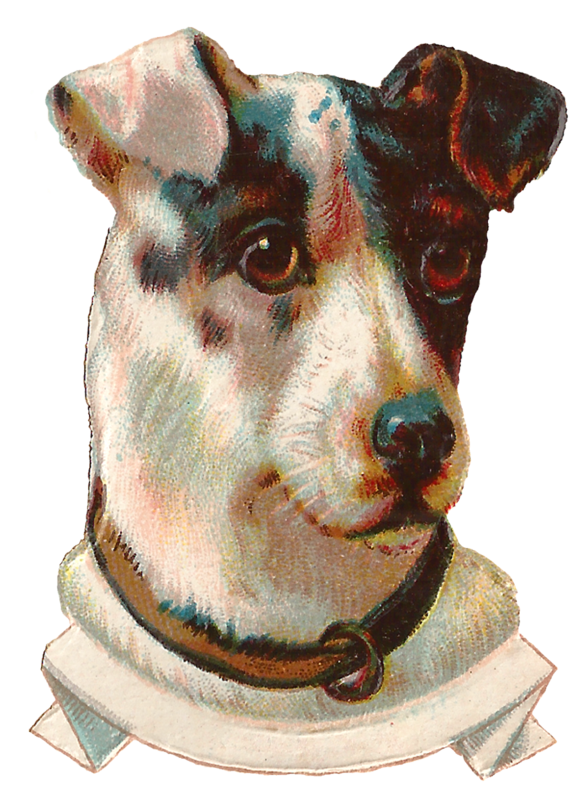 Under the terrier dog image is a blank banner label ready for personalization. Perfect for a cute dog project this digital dog clip art will stand out and add lots of cuteness to any animal project.